Yogesh Chabria - The Happionaire ​Blog - Best Motivational Speakers In India - Inspiration, Success: Why I Never Invest In Mutual Funds or Insurance! Why I Never Invest In Mutual Funds or Insurance! I personally never invest in mutual funds or in insurance linked investments. Not that they are all bad or anything, I have just realized that they are just too expensive for a smart investor and they are extremely easy to outperform. I had made the mistake of doing this in the past when I was new to the world of investing, but then later realized that they weren’t useful to me. Mutual Funds have several costs that are all derived from heavy duty advertising in the mass media, fancy offices in the most expensive locations and inefficient distribution. I don’t like investing in assets that are heavily marketed and advertised. No wonder in the past I skipped all real estate IPOs and now too am going to skip all the ones which are lined up. I can guarantee that almost all of them will cause investors to lose money. If something is going to make you rich, it is not going to be marketed to you. It is your job to pursue it and benefit from it. When I started investing in gold personally at Rs. 12,000, it wasn’t advertised to me, nor was it pushed down my throat by aggressive financial salesmen. I invested in it despite most of the media and analysts speaking against it. I remember how a Mutual Fund manager told me that gold is a worthless piece of metal that does nothing. I hate arguing and simply like to wait for time to prove who is right and who is wrong. Arguing just creates a lot of negative energy and wastes time. It is so much better to have a good laugh and enjoy yourself. Gold is going to rally, because people know what is going to happen to the US dollar, Pound and Euro. If you have any of those, now is the best time to convert them into rupees. Another thing I don’t like about Mutual Funds is that we have no say in what they do. Let us say I would not like my money to be invested in overpriced real estate IPOs, can I stop my Mutual Fund manager from doing the same? Even if I want my funds managed professionally, I would like to have the flexibility to guide the direction and nature of investments. There have been cases where a Mutual Fund belonging to a big business house, kept investing in other group companies in order to artificially boost stock prices, in spite of knowing that those companies had no fundamentals. Many common people can’t afford homes is because these real estate companies keep raising cheap money from institutional funds and banks. Once this stops – the bubble will burst. India’s biggest bubble today is real estate. Let us see the performance of MFs since the beginning of the crash, how many of them gave you returns in excess of 100% last year? Had you put your money even just in the index, you would have got returns over 100% (Sensex went from 8,000 to over 16,000). Since most people are not well informed and lack knowledge, they get delighted when they get 50% returns from an equity mutual fund – not realizing how much they are losing and not asking questions. What happened to the remaining 50%? Where did it disappear? Worse than mutual funds are insurance products pretending to be investments. We all know what happened in America when people ‘invested’ their retirement money into insurance. Insurance is meant to protect your car in case of an accident or is meant to provide you with some money in case you fall ill. It is in no way meant to make you rich and create future wealth. It is better to keep your money in bank FD that is fully under your control rather than invest it into confusing investments with no transparency. As a kid, I remember how our family had to literally beg and grease hands to get our own money back from an insurance company. I didn’t like that and am glad I had that experience, because it taught me a lot. Take a simple health insurance, life insurance or car insurance policy and you remain the boss. Every year the insurance company has to run behind you for your business, on the other hand if you commit to them for twenty to thirty years with some complicated investment plan, you become their slave. I believe we are all God’s children and are all meant to live life like kings and not slaves. Ignorance and a lack of knowledge is what unfortunately make millions of people continue living like slaves. Now is a time to accumulate cash – and keep the war chests filled with cash.The talks about an economic recovery in America are simply ways to brainwash the masses. Once the crash starts, it will time to capture assets being sold in distress. Some of the biggest banks in the America, UK and Europe will soon collapse. They will offer us an excellent opportunity to create wealth. Keep smiling and making the most of now! Small Can Always Outperform Big-Do You Agree? P.S. : Since It Is Children's Day. I Just Thought Of Giving Away A Few Copies Of Happionaire's Money Game. Tell Me Why You Or Your Child Want It - And A Lucky Few Will Get Their Copies! I never thought about this aspect ever of Mutual Funds. Thanks for being so bold, frank and open with us. 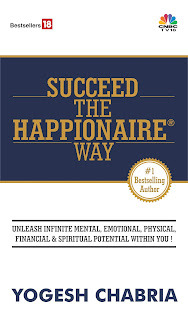 I would love to read Happionaire's Money Game, even though I am 28. I want to read it because I love your style of writing, it is so simple and nice. I got very upset after reading this post. I realized how all these years i was being fooled by my bank into buying insurance and mutual funds. My MF's gave an average return of barely 40% last year. Now I know where I lost all my money. My problem is why doesn't the mass media do more to teach people about such things? Long back I remember you warning investors about not investing in Emaar and Rel. Power. I'm glad I followed you and since than have become your follower and fan. My daughter would love to read the Happionaire Money Game. I want her to read it so she also joins the best Happionaire family and becomes smart. Think Yogesh has been consistently been warning about Big Bank Crashes in US and Europe.. that is the message under the title of Insurance and MFs... its scary ! wat more worse can happen when things are looking a little brighter (even if its artificial). Buy Gold , keep cash..
Yogesh has almost always been ahead of the curve when it comes to detecting what is going to happen in the future. Right from stocks, his prediction of a recovery, Gold prices and now once again predictions of a crash. But this time, I think Samant we don't need to panic, but benefit from the coming crash. We Happionaires aren't meant to panic but to make the most of opportunities. I missed it in the last crash, but won't this time. All expenses are to your account in MFs and all losses too. However, when it comes to profits that too is shared by MFs by way of bonus/incentives !!!! !What about the non-performance, negligence of MF managers that too goes to your account. ""Head you loose tail I win""
Nice post on Mutual Funds. I am curious on why you're pretty sure that market is going to down; despite we see 17K today. And also that major banks in US are going to be bankrupt? Why do you feel US dollar is going to fall soon? Is this in reference to Dollar carry trade? I am just curious to find out what are your grounds that makes you sure that market is going to crash big. I may be completely wrong but i am just following your saying that do not trust someone blindly rather ask questions. So am doing the same. Please shed some light on this!! Again, strong wording like Gold is going to rally. Now looking into one year history it has already rallied from 11.25K to 17K...do we still see a major sprut like till 25 or 30K? I hope you'll answer all these curiosities. WOW this article is eye opening for all those investing in mutual funds and unit linked plans. i got stuck with ULIPS (unit linked insurance plans) these people are simply making fool to everyone. but i learn lot as a happionaire and yogesh's predictions over gold come true in almost 6 months time. i enjoyed good profits in gold and still holding. now i am cautious over property and real state stocks. i dont know how much i learn till now and how much i will learn in future but i have always been benefited being part of happionaire family. Keep writting and aware masses the way you are doing in past. I know that most of the people agreed with you on this subject. But I like to differ with you on MFs. We, the normal people - are not blessed with all the skills that you have got. We are not able to identify the stocks by looking at the balance sheet and are convinced that it would rally some 500%. We have to depend on somebody who can give us more than what we may get on our own. I agree with on insurance completely. For the coming failure in US and Europe, I am bit skeptical on your thoughts. Because now Warren Buffet is also saying that worst is over and there will be complete recovery in 2 years. For quite sometime you have told us on Gold. It had really rallied but not the way you suggested. I also remember that you were convinced about a public sector company to outperform because you thought that market was ignoring its reserves. I guess, you were talking about MTNL. But that stock didnt work out well. Those who have been on this blog for a while, knows for sure that Yogeshji doesnt belive in spoon feeding he would any time prefer giving a fishing pole in ur hand teach u few techniques, here & there, and then let u do some hardwork. He clearly said what he wanted and now its up to all of us to belive it or not. Gold's rally has yet to start. Is the RBI a fool to buy thousands of crores of gold? The guys on the inside know what is coming. It is upto each individual to follow or not - at the end he who is right is proven with financial reward. I would like to point out that MTNL gave returns of over 120% to me, after acting on Yogesh's advice. If you read the posts, he had clearly stated that if someone is making good returns it is good time to book profits. I know here we need to do more hard work to find out stuff, but it has helped me build up my observation skills a lot. Keep spreading this power to us Happionaires. Which sector do you are good in the long run, any particular stock one should look out for. I am in confusion after reading this post. My age 23. My dad forced me to take jeevan anand policy of L.I.C. Here premium is 51,789 per annum tenure is 23 years. so at age of 45 my total investment is 12,42,936. Now from age of 46 i will be getting 3,10,000 to 3,50,000 as nett surplus per year till age of 60. Total net surplus is 54,54,373. At age 23 the risk cover for Normal and accidental is 16,77,225 to 21,77,225 respectively. It will increase each year. At age of 45 the risk cover for Normal and accidental is 41,73,000 to 46,73,000 respectively.After age 0f 60 the Risk cover of Rs. 16,05,000 will continue till life time.Please suggest me whether i should continue it or i have to close this. I don't know whether i can close this policy or not. Completely agree with Yogesh on MFs and Insurance. I am currently cleaning up my MF and Life Insurance portfolio. It hurts to say that I have lost a lot of investable capital due to imprudent MF and Insurance purchases, but I guess one has to learn and move ahead and capitalize on the huge impending opportunity. Please advise on the buying strategy for the coming crash. What level is good to enter? Do we have a sense of how deep the crash will be compared to the last one? I would be good if yogesh and fellow happionaires could share their approach and suggest broad guidelines. To be honest I regret not being able to read Cash The Crash when it was launched and benefit from the first wave of the Crash. I just finished reading it and I realized that how much I could have benefited. I don't have a lot to invest (Rs. 15 lakhs) and I was wondering like a few others here what all options are good. I feel the banking sector might crash the most, so we can pick that up? Do you think dollar will also go down with euro and pound.If this happens western world will start crawling. If yes, then along with rupee whether yuan will rise. what will happen to indian IT sector. More job problem as they are getting paid by these foreign currencies. Yogesh Yogesh where are you people are calling out for you>>>. I'm one of the many followers of your words, wisdom and experience. I want to share my experience also with insurance. Like millions of others, I got trapped into buying insurance where in first year itself more than 60% of my value goes to some strange charges. Now I can't even exit. I wish you would have posted this earlier. A intelligent man is what always saves the world. Your words of wisdom however will help many - including me in the future. I will never ever make mistake of being duped into insurance or mutual funds. I thank you and all other brothers here for adding so much good knowledge. I think having an insurance is not a bad thing, rather having insurance linked with equity market is bad. One should keep insurance and investments separate. In my opinion, ULIPs are the worst form of insurance. I think term insurance is the best of all insurance schemes. I request Yogesh to put some more light on having (or not having) Term Insurance.